Forget changing lightbulbs. How many BFFs does it take to mend a broken heart? Find out in Cathy’s lush new tale of BFFs through thick and thin. Eden’s a bit nervous about going to senior school, but she knows her friends will look out for her. The Heart Club have promised to stay best friends forever. Nothing can tear them apart. Until something does. Fast forward two years. Eden is haunted by memories of the past. The good thing is, some of her old friends are still there for her. 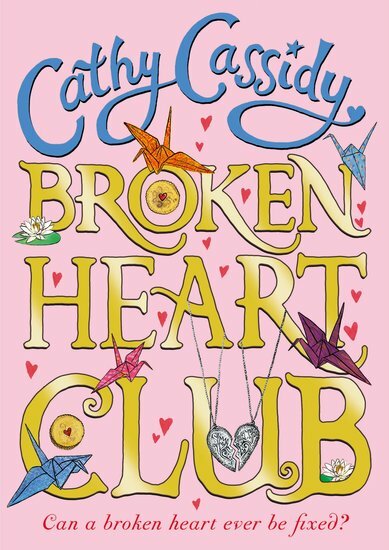 Can they help her move on – or will the Heart Club stay broken for good? Totally true to life and sweet as icing sugar: a must if you’ve ever trusted a friend, lost a friend or had a friend come through for you. Love it. Really really nice and lovely story.